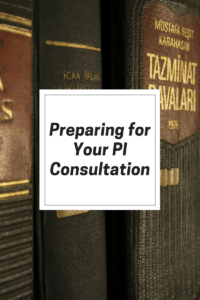 Preparing for your PI consultation is very important. If you feel that your wife, husband, girlfriend or boyfriend is cheating on you, be sure to tell us everything. As your private investigator, we are only able to get you the proof and evidence you need if you tell us the whole story. Anything less can have a dramatic effect on our ability to get you the information you seek. We are private investigators, not magicians. Our investigators cannot make things exist that do not. We cannot find infidelity where it does not exist and sometimes, despite signs to the contrary, there is no infidelity or it is too infrequent or too well hidden to be found. Accordingly, we do not guarantee any outcome on any case. The more information you can provide us, the better. Please make notes of everything you know. Write down all suspicious behaviors and findings. Any information or suspicions of who your mate is seeing is helpful. Provide us with your mate’s usual schedule and any variations that may occur at different times. We need your mate’s vehicle information (make of vehicle, license tag, color of vehicle). If we were to use GPS tracking, it would be helpful to have addresses of friends and relatives that your mate visits frequently, so that if we track your mate to that address, we’ll know not to be concerned. We need pictures of your mate, so we’ll be able to easily identify him/her when we begin the surveillance. It is very important, as you are preparing for your consultation with our investigator, you need to prepare yourself to be strong and know that you can’t reveal any information that is discovered during the investigation until the investigation is complete! This will not always be easy for you! You will know your spouse/mate is lying to you, but you can’t reveal that to them. Your time will come and you will get that satisfaction when the investigation is complete. It is important that you do not do anything to alert the subject of the investigation. Do not change your habits and do not ask too many questions about their activities. You need to decide if you want to know what he/she is doing for peace of mind or are you looking for evidence of infidelity to get an advantage in court? This is very important for the simple reason that time is money. Our agency, like nearly all others, charges by the hour. If you are trying to establish infidelity for purposes of gaining an advantage in a divorce action, more time, documentation and investigative work will be required. This will always involve preparing a very detailed report, making proper identification of the other person and likely conducting multiple days of surveillance demonstrating they are more than just “friends”. You will need to find out what exactly your attorney needs for presenting your case.